10 Week Resistance Training Program for Triathletes with a focus on strengthening the bike. This plan combines cycling-specific resistance training with running and swimming strength work. Perfect for the long course triathlete looking to improve their bike split! Run and bike workouts can all be done indoors or out. Increase your Functional Threshold Power and reduce your risk of injury this winter with our 10 week training plan. During this weight lifting program, athletes build muscle (heavy lifting), train that new muscle to produce great force and then through neuromuscular sprint workouts teach that new muscle to fire at speeds specific to cycling (high velocity lifting). “Speeds specific to cycling” is the secret sauce of this program and this weight lifting is made cycling specific by the velocity of the lifts plus the neuromuscular sprint workouts that are coupled to the Strength and Power Phases. The neuromuscular work on the bike also transfers to your run! This plan is perfect for the triathlete to begin in the late Fall or early Winter (like December/January in the Northern Hemisphere) to prepare for a 70.3 in late Spring or a summertime Ironman. Muscle Tensions load your legs with forces similar to those you will encounter in the weight room or on climbs. These intervals are several minute, seated, big-gear, low-cadence efforts. • This is more of a muscular workout than an aerobic workout. It is not a wattage-based workout. However, if your effort is too hard you will dilute the strength-building effects and transform the workout into a threshold-type exercise. Keep watts in the Zone 3/Sweet Spot. 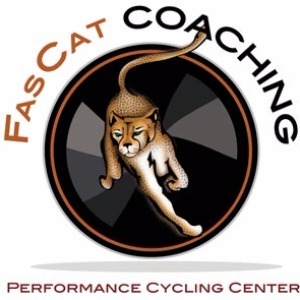 • Work on pushing with your quads and pulling with your hamstrings—pedal “circles."